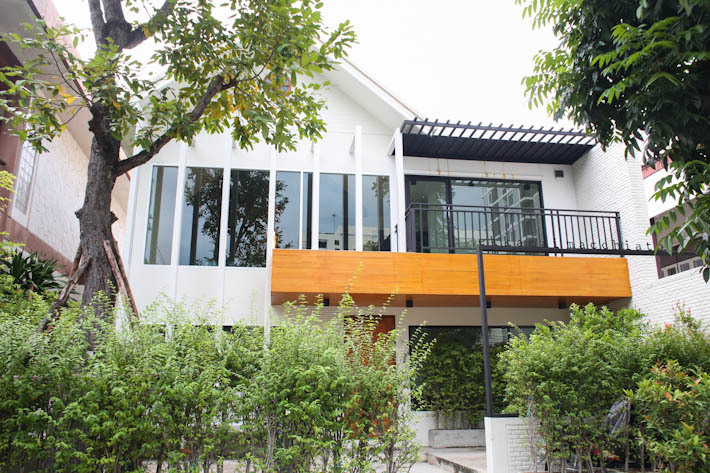 Ekkamai Macchiato – Home Brewer is a homely cafe located along Ekkamai Soi 12. It is a cosy spot where guests can spend some time browsing through magazines and enjoy a cup of coffee. All drinks (both coffee and non-coffee) on Ekkamai Macchiato’s menu are sold at an affordable price of THB100/ S$4.12. 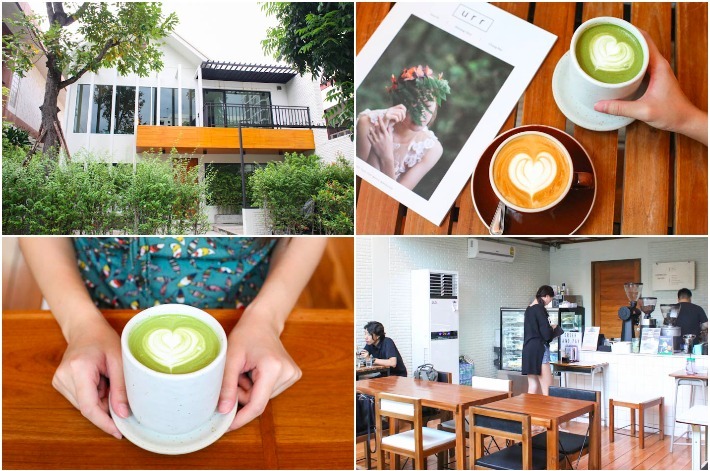 There is nothing too fancy about the cafe and the lukewarm tones from the wooden floor tiles and furniture made us feel more like we were walking into someone’s house rather than a cafe when we first stepped foot into Ekkamai Macchiato. 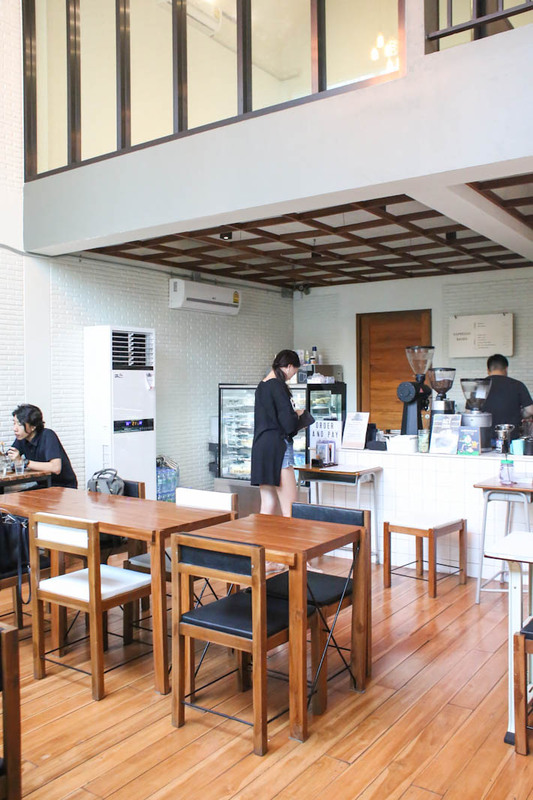 At the front of the cafe is where you will find their dessert counter and coffee bar, which is decorated with white square tiles. Do not be shy to approach their friendly baristas for any food or drink recommendations. 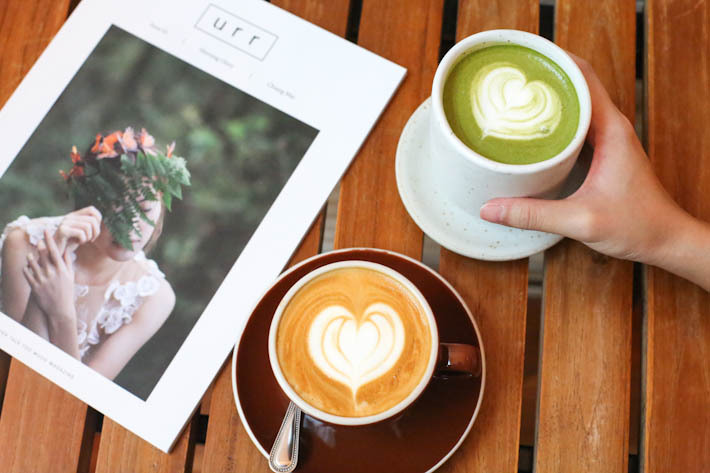 After taking a look at their THB100 drinks menu, we went for a Hot Matcha Latte (THB100/ S$4.12) which was extremely rich. 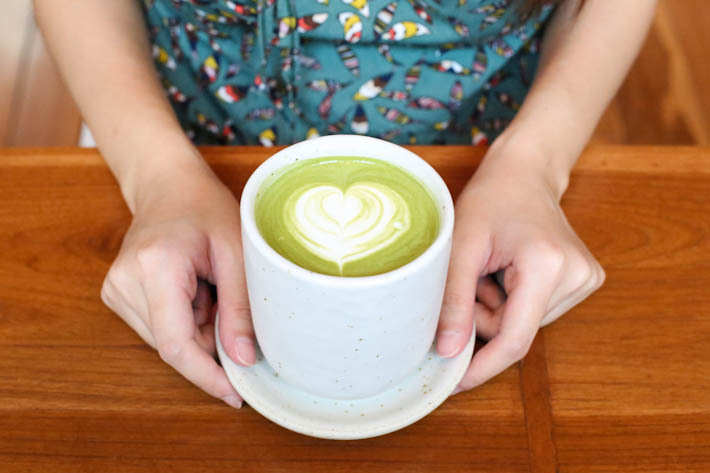 The strong matcha flavours were balanced out with creamy milk and it came with an inviting layer of foam—what a treat! Alternatively, you can get an Iced or Blended Matcha Latte if you are craving for a cold drink instead. Those who simply cannot give up on caffeine can opt for the Hot Cappuccino (THB100/ S$4.12). As with any good cup of Cappuccino, it had the perfect espresso to milk ratio and the drink was topped off with light and airy foam. 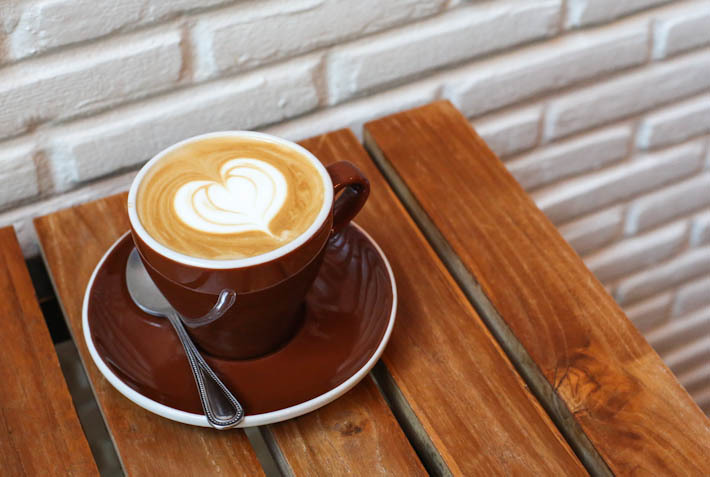 Other espresso-based drinks you can get there include Espresso, Americano, Caffe Latte, Caramel Macchiato and more. Most of them are available in Hot and Iced versions.